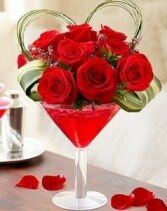 EXCLUSIVE Raise your glass to romance with the perfect Valentine's “cocktail”! 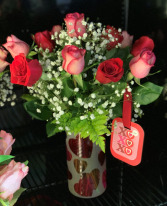 This fun and flirty arrangement—handcrafted with red roses, heart-shaped bear grass and more in an oversized martini glass—is a truly original recipe that stirs up smiles for friends, lovers or that special someone you've had your eye on. Glitzy and gloriously romantic, this ruby red glass bubble vase with “love” written in rhinestones is sure to win her heart. 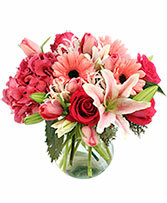 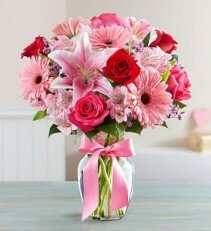 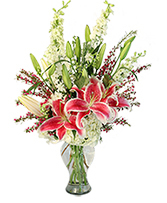 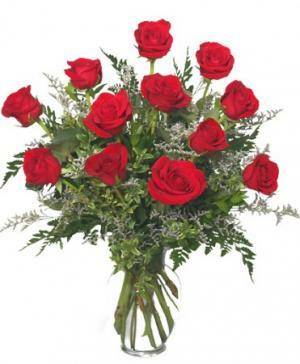 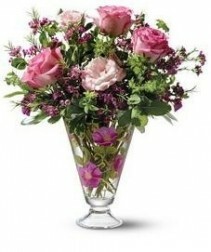 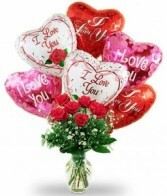 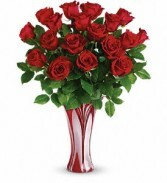 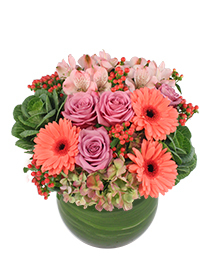 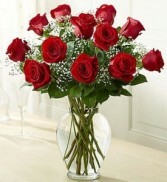 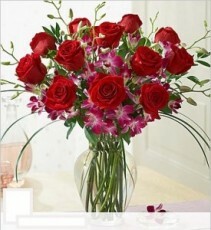 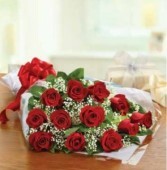 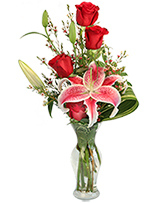 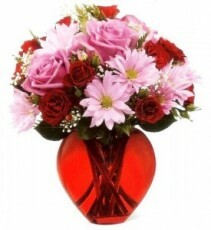 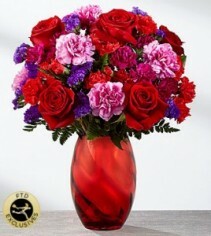 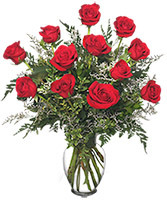 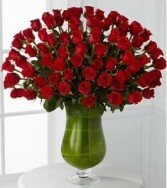 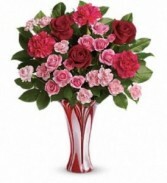 The charming bouquet includes pink roses and red roses accented with greens. 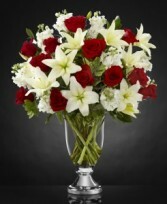 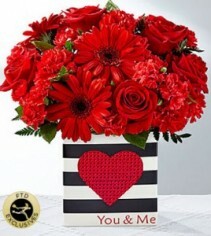 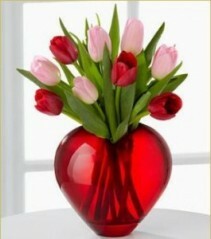 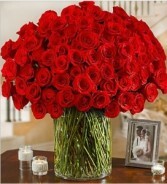 Bring on the red this Valentine's Day and celebrate in style with this gorgeous flower bouquet! Red roses, carnations, gerbera daisies and mini carnations create a true splash of color arranged beautifully in a striped black and white ceramic vase with a bold sequined red heart on the front and the sentiment, "You & Me," lettered in red at the bottom. 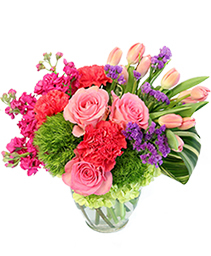 The FTD® Season of Love™ Bouquet employs blushing tulips to convey your heart's most ardent wishes on this coming Valentine's Day. 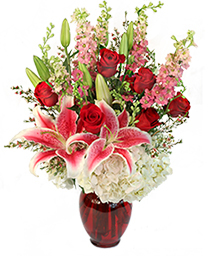 Red and pink tulips are lovingly arranged in a designer red glass heart-shaped vase to create a flower bouquet like none other. Set to capture every season of your love, this flower arrangement will be the perfect way to celebrate this February 14th.